Harrogate is resort-style, active adult community in Landenberg, Pennsylvania. This lovely neighborhood of low-maintenance homes caters to both socially minded and physically active residents looking for carefree homeownership. 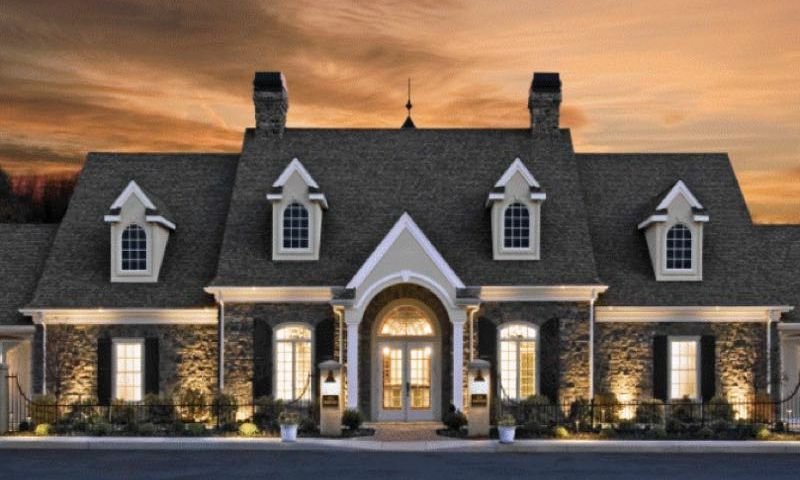 Harrogate offers its residents a beautiful clubhouse with both indoor and outdoor amenities. Many retirees are lured to Harrogate because of the resale inventory and thoughtful home designs. There were a variety of customizable models that include first-floor master suites, optional dens, and optional side-load garages. Harrogate includes many on-site amenities to keep its residents happy, healthy, and busy. The private clubhouse, Club Harrogate, is the hub for social activities and fitness needs. Physical activity is made easy with an on-site exercise room equipped with cardiovascular and weight-training machines. After a refreshing workout, residents can relax their muscles in the massage area or saunas. Club Harrogate also includes a lounge area and bar, perfect for casually socializing with neighbors. The large multi-purpose room and catering kitchen are great amenities that can be utilized for large community events, club meetings, or private parties. During the summer months, homeowners can relax at the Club Harrogate's outdoor patio or enjoy the landscaped grounds by walking along the trails that wind throughout the community. This age-restricted community in peaceful Southern Chester County was developed by Wilkinson Builders. Active adult homebuyers can find a resale home that was built between 2005 and 2010. The seven models offered range in size from about 1,760 to just over 3,000 square feet. A variety of home sizes includes two to three bedrooms, optional dens, two or three bathrooms, and an attached two-car garage. Harrogate offers daily activities and diverse events geared towards forming friendships between neighbors and enhancing a sense of community. Residents can join a Zumba class, attend lunch in the clubhouse, grab a drink at the bar, or play poker with neighbors. An activities committee is constantly planning fun events like live entertainment at the clubhouse, themed parties, bus trips, art lessons, and more. No matter what your interests and hobbies are, there is something for everyone at Harrogate. Harrogate is located in Southern Chester County, Pennsylvania. It's conveniently situated near the state borders of Delaware and Maryland as well as an hour's drive away from City Center Philadelphia.Closer to home, homeowners are near great shopping, dining, and recreational opportunities in West Grove and Kennett Square. Easy access to Routes 1, 41, 7 and Interstate 95 makes Harrogate a great location for both retirees and working adults in Eastern Pennsylvania. There are plenty of activities available in Harrogate. Here is a sample of some of the clubs, activities and classes offered here. These seven models range in size from about 1,760 to just over 3,000 square feet. A variety of home sizes includes two to three bedrooms, optional dens, two or three bathrooms, and an attached two-car garage. Homebuyers can find a resale home that meets the size and style requirements. Please Note: Not all floor plans are available at this time. 55places.com is not affiliated with the developer(s) or homeowners association of Harrogate. The information you submit is distributed to a 55places.com Partner Agent, who is a licensed real estate agent. The information regarding Harrogate has not been verified or approved by the developer or homeowners association. Please verify all information prior to purchasing. 55places.com is not responsible for any errors regarding the information displayed on this website.